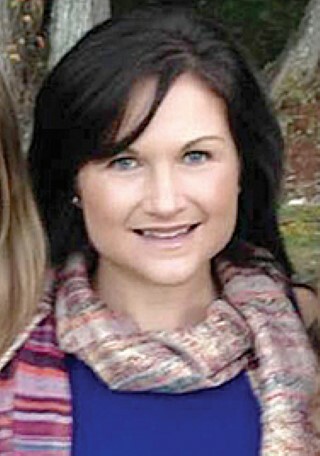 Crystal Rogers has a passion for helping people. And she does this by helping people prepare their taxes. It’s that time of year and people are gathering their W-2s and other paperwork to put together tax returns for the 2015 tax year. 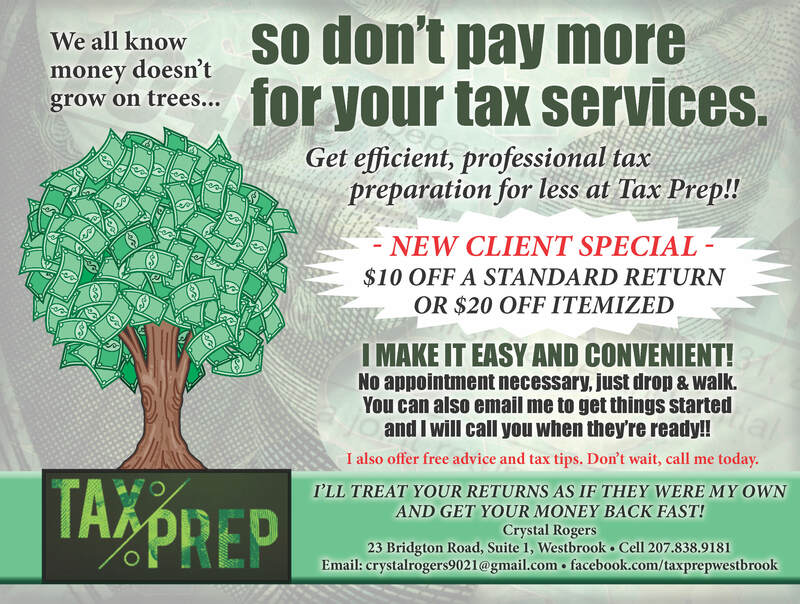 Rogers at Tax Prep wants to help take the stress off people by helping them complete their taxes. “I’m convenient for people who are busy,” Rogers said. Tax Prep is located in Rogers’ office at her financial advising business at 23 Bridgton Road, Suite 1 in Westbrook. She does most of the work out of her home, but is able to meet people in a location convenient for them. “I’m looking to help people out. I don’t charge by the hour. I have set fees,” Rogers said. She prides herself on having low fees but producing quality work. When she is hired to do taxes, she will call to give an overview of where the client is. She will go over it with them after it is sent and the refund is on the way. All taxes are filed electronically, meaning that her clients get their refunds faster. “People get refunds back pretty quickly,” she said. Getting taxes done local provides the opportunity for job creation and more personal attention by someone who is invested in what she is doing. Rogers prides herself on her attention to detail. If there is ever an issue, she will be there to support her clients. Rogers does taxes for individuals, families and small businesses. She can issue 1099s and complete Schedule Cs. She can also file extensions and do estimated taxes. She can pretty much do it all. The only thing she does not do is taxes for corporations. “I’m looking to help anyone who spends too much getting their taxes done. If you’re paying more than $250, you’re paying too much,” she said. Of course, the prices depend on what form people need filed and for standard returns are much less than that. One of the conveniences Rogers provides is drop off service. Clients are able to drop off their paperwork at any time in a lock box at her Bridgton Road location. People are welcome to stop in or call first to speak with her. Items people should collect for their Rogers are social security number, W-2s, alimony, childcare expenses, contribution to retirement accounts, medical savings accounts, and a list for itemized deductions. Rogers has taken training and takes online continuing education courses to keep up with the changes in tax laws. She is certified with the IRS and has had a background check done. “I’m affordable, accommodating and looking to help people out with great customer service,” she said. One of the deductions people forget about is the donations they make to places like Goodwill. Get a receipt for your donations, Rogers said. She said on business returns, people should not forget to claim mileage on their vehicle when it is used for business. “They should be,” she said. Rogers also reviews previous year’s returns for free for her clients. Additionally, she wants to be a resource for anyone unsure and so she offers free tax advice for those who ask. As for the future of Tax Prep, Rogers would like to serve more local people. “I’d like to grow and help as many people as I can,” she said. She can be found on Facebook under Tax Prep Westbrook. For more information or to arrange a meeting, call Tax Prep at 838-9181.